The Giants have been around a long, long time (since 1925). They also went nearly thirty years without any logo on their helmet. This makes some sense because much of that period was during the leather helmet days, and few teams added logos to that style helmet. For that time period the only logo associated with the Football Giants was an illustration of a giant quarterback throwing a pass. Artist Marie Barclay Steinmuller created that logo and also created the original “ny” logo. In 1961 the Giants finally added a logo to their helmet. A lowercase “ny”, which is basically the same logo they use on their current helmets. 1961 New York Giants Helmet. They would use this design until 1975. That year they switched to a more stylized version of the “ny” logo with white and red stripes. They also used a darker blue for the helmet shell and added a white facemask starting in 1975. 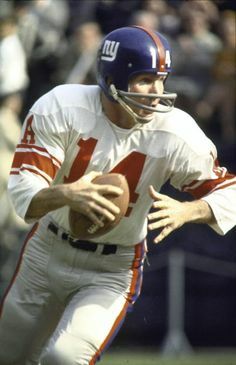 New York Giants Helmet 1975. 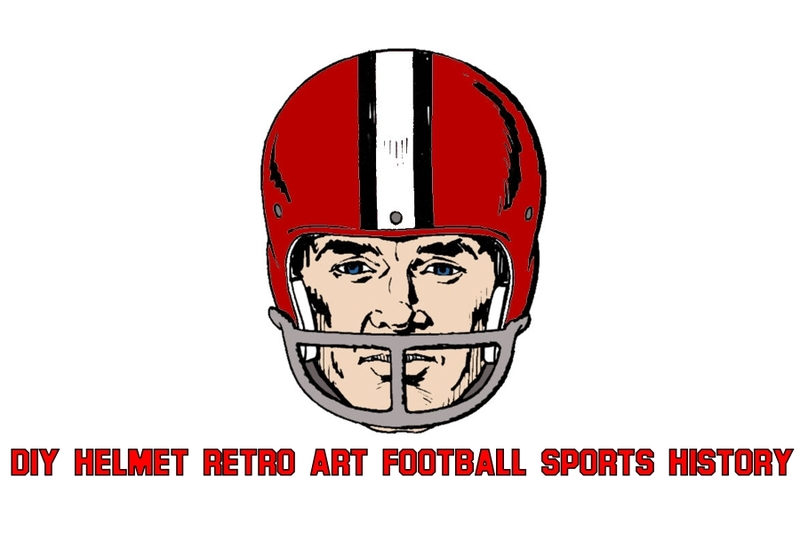 In 1976 a new logo appeared, which featured a “Giants” wordmark with a stripe beneath it with the same white and red stripes that were used on the 1975 helmet. In 1980 the stripe was changed to a solid red stripe. This helmet would remain the same through the 1999 season. In the year 2000 the Giants went to an updated retro look that was similar to their 1960s uniforms which is still used today. With this design they went back to a lighter blue, added a gray facemask and returned to the familiar “ny” logo. The current Giants helmet uses a metallic blue which is closer to a royal blue. Finding the right shade of blue in a metallic paint was tricky, but it turns out Rust-oleum make a blue metallic paint that is super close to the shade of blue that Eli and company wear on the field. After painting, i let dry and added about 6-7 coats of clear coat and then wet sanded and polished. I like the way the blue came out and I think it matches pretty well.